So – I haven’t been around much and I’ve been extremely lax about posting. I’ve reverted back to my lurking ways and have been lurking about on various blogs. 🙂 However, I have been reading much more than usual so that’s always a good thing. I’ve been reading mainly contemporary books which is not quite my style at all since I always usually lean towards the classics but all my library reservations decided to come in at the same time. Brilliant book and incredibly intense. I’m glad that she managed to control her depression and write this amazing memoir. I initially thought the book would largely be a criticism of pill popping and society’s, or America’s, reliance on anti-depressants or a ‘pill that will fix everything wrong in my life’ but it was largely focused on Wurtzel’s debilitating mental illness. Another amazing read. It’s regained popularity around various blogs due to the book becoming a TV series. I’m not it’s something I want to watch but I loved everything about this book particularly the way Summerscale (what a great name!) draws in contemporary works during the time and place everything in context. The historical aspect about the advent of detectives and policing is also fascinating. 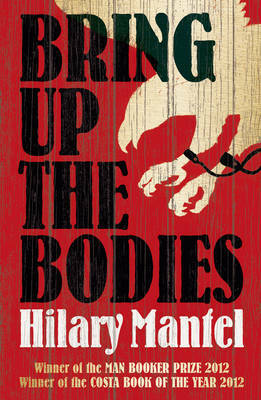 This was another fabulous read (I’m repeating myself, aren’t I?) I stayed up last night finishing it because I had to find out how everything ended. It’s about a woman who has an unusual case of amnesia. For the last 25 years, Christine would only remember things for 24 hours. 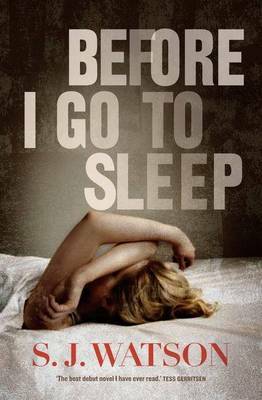 When she goes to bed for the night, her memory is wiped clean and every morning her husband would have to remind her about everything. This would be alright except for the persistent unease and fear Christine feels. Proper reviews might follow if I can be inspired and motivated enough! I’m currently trying to read Caleb’s Crossing by Geraldine Brookes but it’s a little difficult to get into. I think I just want to escape into some old classics for a bit. In other news, Borders in Australia is now closing all its stores which I find extremely sad and disappointing. I’m anticipating the sales though but it’s really quite sad about the collapse of Borders. although I’m very annoyed this happened after the chain destroyed all other independent bookstores. Such is life in the world of retail, I suppose. Haha, yes, I agree – even ‘lurking’ has a sinister ring to it. I love these sort of words that sound like what they mean. Like ‘grace’ or ‘eloquent’ and ‘elegant’. I’m not sure when the series is available in Australia either but I’m sure it’s bound to turn up sooner or later. I’m in no rush to watch it! It was really nicely written too. So engaging. It was learning towards academic but still so much fun and fascinating to read. Really makes me miss studying lit! Btw, you can find the adaptation on youtube when you search for the initials (T.S. etc) of the title. Like Bina, I am not sure I will be watching the adaptation of Mr Whicher, but it was a fascinating read, especially for a non fiction reader like me. I’m not a regular non-fiction reader but I did enjoy this one immensely. It’s right up my alley. 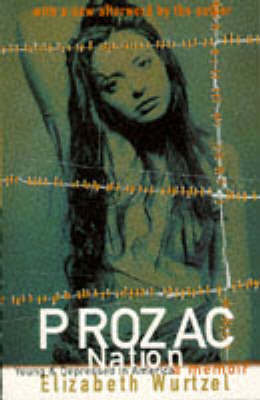 Anyway, I read Prozac Nation back when I was seventeen, and thought it was brilliant. 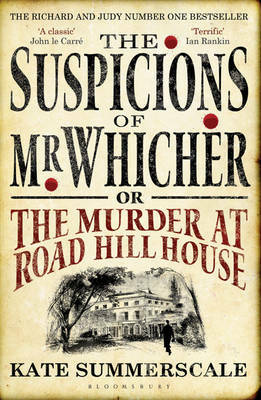 Read Suspicions of Mr. Whicher more recently (maybe 2008-09? ), and was underwhelmed. It felt more like a dissertation, and less like a suspense thriller. The premise had so much potential, but the book… for me, it just fell flat. Glad you enjoyed it though… it feels like I’m in the minority in not liking this one! Ah, cookie, I’m always interested in your views! I liked Mr. Whicher *because* it read like a dissertation. I think it was very scholarly, well researched but written in a very accessible manner too. I didn’t have much pre-text coming into it but the general summary sounded really interesting. I read a lot of these sort of things during uni and I’m always really fascinated and interested in them: the Victorian angel of the house; segregation of the outside world and the home; the private and the public. I felt a little misled that there wasn’t more about Mr Whicher since his name was in the title but I really enjoyed it nonetheless.